Marc Van Campenhout became dj Zzino around 1986, right at beginning of the house and techno era. It wasn't long before he had his first release (1989) under the name Nevermind, which was only a first step in a series of many more to come.In order to stay in touch with what was happening in the music scene and to provide proper dance music for those who wanted to know, he started his famous BCM record store in 1994, first in Mechelen, and later on the second store in Brussels (1998), which became the BCM headquarters in 2003. Marc worked as A&R-manager at BTI, managing labels like Re-load, Nitric, Aquatic, 21st century, Forcefield, Spectron and Aquatic. 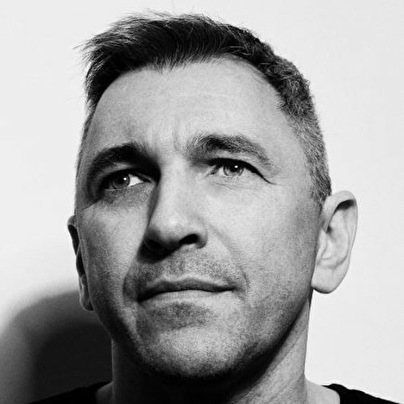 During that time he was also responsible for successfull compilation series like "XXL" and "History of Techno".That period also meant the rise of Zzino as an international techno dj/producer. Together with Sinesweeper he had several big projects (Accelerator, Montini Experience, Hyperpearl, House Trap) which only added to his name and fame. Next to signing established names (Dave Clarke, Felix Da Housecat, Space Djz) to the labels, he also had (and still has) an eye and ear for upcoming talent, giving young producers a chance to release their first stuff. In order to have full artistic control Zzino and Sinesweeper moved on to start up Headroom Music, their own record company. Later on, they split up and Zzino would take control of all the former Headroom labels under the wings of Belgian distributor NEWS.There he continued the labels Traction, Session, Invasion and Infrared untill they were put on hold in 2005.Next to the production side of things Zzino is also a renowned dj in the international techno scene. He played in countries like the UK, USA, France, Portugal, Spain, Canada, Croatia,. Next to the parties he also started Chrome Bookings. Today Marc, married and two children, works for a big event bureau in Mechelen where he is project manager.